Want to hide your identity on any website? Want a virus free session every time? Want to completely hide your browsing? Are you finally ready to be Trace Free? ALL of the standard and “private” browsing solutions have the browser rendering on the device. You are not completely private or secure because the device interacts with the website. 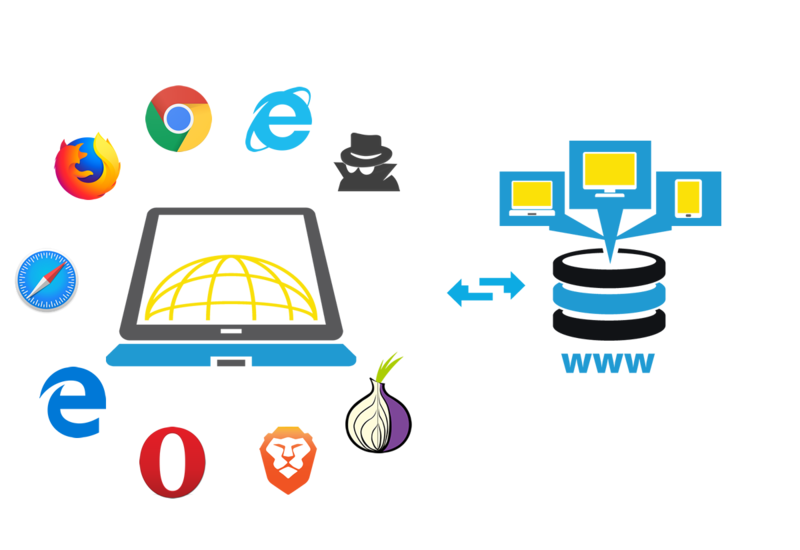 These include: Regular browsers, browsers in private mode, using a VPN, private browsers, private search engines and TOR. TRACEFREE: All browsing renders in the cloud. The device and user are always completely isolated. Your PC only sees what our server “sees”, it never interacts with any website. Our private browser runs in the cloud NOT on your device. We know you'll love it and we also offer a 30 Day Money Back Guarantee! 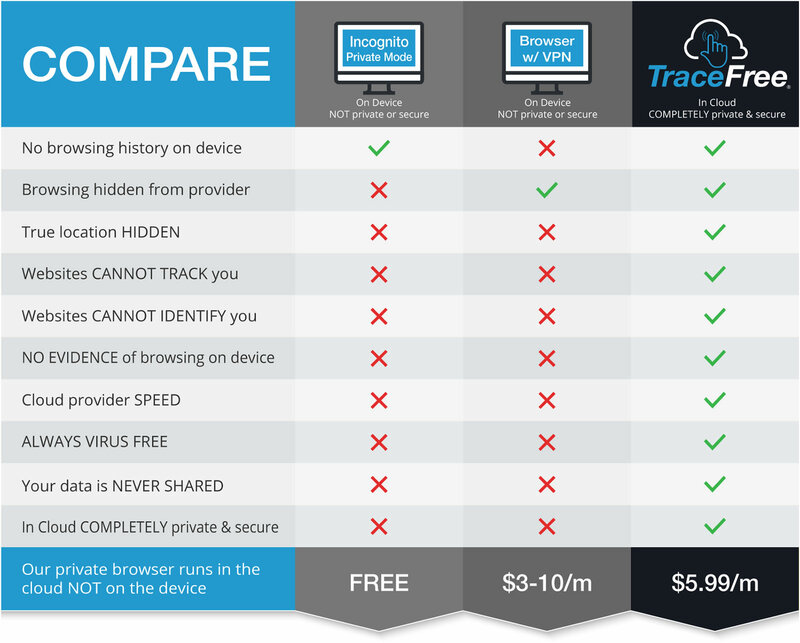 Always virus free as the TraceFree browser runs on our server, NOT your device. Users view only what our server sees. The most competitive online pricing. Plans from $5.99 monthly to $5.00 monthly paid yearly. Cheaper than most antivirus software yearly costs. TraceFree is the ONLY solution that protects and hides your device and identity from all 4 points (device, browser, provider and website). You're paying us to be anonymous. We’ve gone to great lengths to keep it that way. TraceFree is like the “Swiss Bank of browsing”. We like to say “you CANNOT hide your digital footprint, but with TraceFree you can wear someone else’s shoes”. Our private browser runs in the cloud NOT on the device, so you get lightning surf speeds and page loads as if it's on fiber optic internet. The book “Online Privacy Secrets Revealed, Don’t let your browsing be used against you.” is eye opening and alarming. I find myself now aware of the language VPNs use in their ads to mislead people. Thanks for sharing this! I’ve definitely told people about TF, and I’ve mentioned that when the full version is launched, it will be the greatest privacy/security tool in the history of the internet. That’s my belief. I wish TF had existed 20 + years ago.